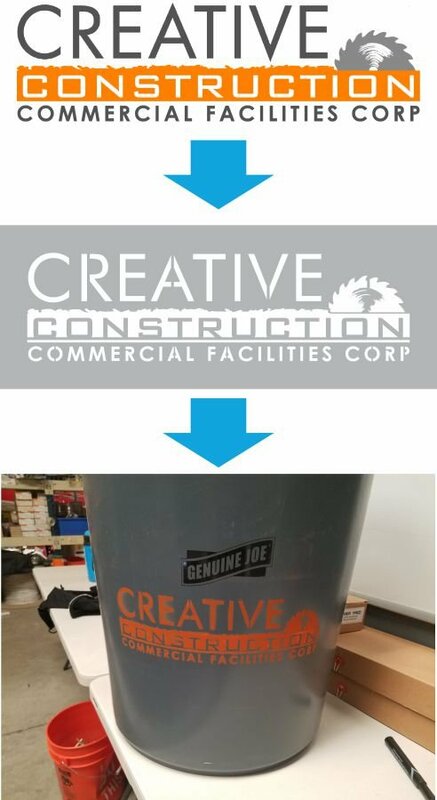 Can your logo be turned into a spray paint stencil? The answer is YES it can, but there may be some caveats. Lots of shading, colors or neighboring objects/elements may blend together or need modification to work as a stencil. We also handle multi color stencils and photographs. Size – the larger (maybe 10″ to 20″) the stencil the more details we can get with good results. Too small, and tiny details get lost or don’t come out well. Keep in mind a stencil is 2 color – black and white. That’s not to say a complicated, multi color or even full color logo or photograph can’t be made into a great stencil for your painting application. Multi color stencils are also possible by using 2 or more layers of stencils – use one stencil for color 1, lay down a 2nd stencil for color 2, etc. But pictures speak louder than words, see the below examples for great spray paint stencils we made with our clients. Some of these examples took our talented graphic artists quite a bit of time to achieve the desired result, and may have required additional artwork fees. 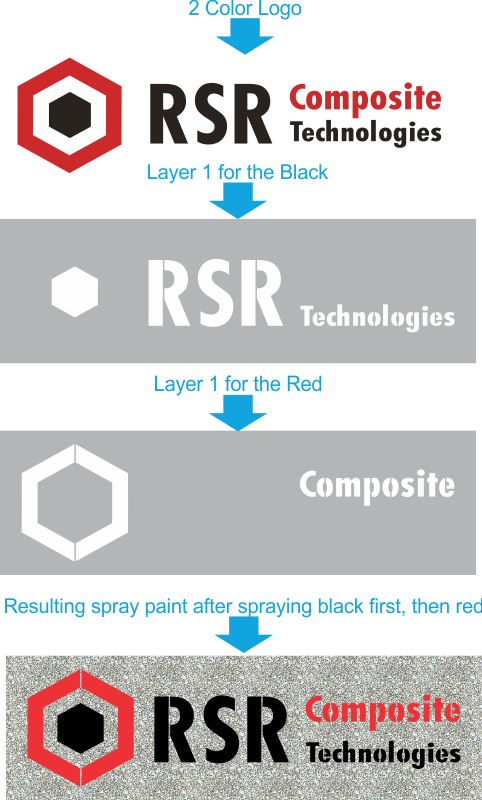 Below you’ll see an original logo, what they stencil looks like, and a visualization of what the end result may look like when spray painted. Note that some of these required extra charges for our graphic designers to modify so they worked as a stencil. Not sure if yours will require an extra charge? You can email your art to us prior to ordering, or just place your order and we’ll let you know after you order, before we charge you. Full color photo made simple into 1 layer stencil. The artist could still apply colors or shading when painting. Previous Previous post: What is the absolute best closing gift to give clients?